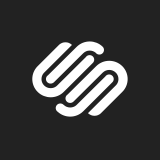 Squarespace is looking for a passionate & curious People Tech & Analytics Analyst. Your work will live at the intersection of HR software, processes, data, & visualizations. You will report to our People Tech & Analytics Lead & help deliver meaningful insights to the business. You will also support new opportunities for the team to go above & beyond by delivering new success metrics & incorporating automation wherever possible.